The 10th Anniversary of the Global Financial Crisis. Ten years after the stunning failure of Lehman Brothers, marking the start of the global financial crisis, what lessons have been learned? Could another crisis be on the horizon? NIKE’S New Ad Campaign. Despite an initial backlash to NIKE’s new endorsement deal with Colin Kaepernick, online sales quickly re-bounded, tracking an increase in excess of 30%. Is this trend here to stay? What could this endorsement mean for other brands? I remember the start of the global financial crisis like it was yesterday, characterized by the stock market falling and bleak corporate stories rising for days on end. As past crises have taught us, the business world is one where a relatively small segment of players find ways to make significant amounts of money on the fringe; residing out on the edge of acceptable conduct, finding gaps in the regulatory environment and acceptable norms. Too often, these people make their money by putting their own position ahead of others, resulting in considerable detriment to many, such as in the case of failures in the housing and corporate markets. This “rogue factor” makes the case for the importance of smart, focused regulation, enacted by those who have a good understanding of where the gaps are. Well intentioned guidelines too often miss the mark, and it’s important to recognize that more is not always better. Having said that, what could the challenges of the future look like? As much as companies will continue to fail (a trend that isn’t going anywhere), expect the next crises to include some new factors, such as the impact of technology, demographics, trade issues, shifts in alliances, and uncertainties associated with areas such as cryptocurrency. With technologies such as artificial intelligence, robotics, self-driving vehicles, and a greater level of control at the consumer level, what will the impact of inevitable job losses have on the economy? What will be the first domino to fall and where will the chain of events that is triggered end? Recognize that the crisis that comes next could look very different than what we have seen in the past, a mere 10 years ago, which, in reality, represents a much longer developmental timeframe. In the case of NIKE, many of us can recall when a little known NFL quarterback made headlines when he “took a knee” in protest of racial injustice. Whether in agreement or disagreement with Kaepernick’s actions, he clearly took a risk in expressing his point of view. This concept of risk is consistent with what NIKE did when launching its newest campaign, an interesting parallel to what inspired it all. Risk creates uncertainty, something that stock markets are known not to like; however, it also requires courage, faith, and knowing that much could be lost. While Kaepernick remains an unsigned free agent, NIKE’s initial losses have been replaced with gains, at least in the short term, with the future yet to be seen. What could be fueling this response? Over the last couple of years, numerous people and groups have been standing up (or, perhaps, taking a knee) for causes they believe in, such as gender inequality, gun control, abuse, and yes, racial injustice. With what seems to be no end to the distasteful rhetoric coming from a range of extremist groups and even the White House, many people seem to have found their own voice, recognizing that this type of world isn’t what they want for themselves, their children, or their community. As it has been said, “If you don’t stand for something, you’ll fall for anything”, it seems that many have been displaying this sentiment through their actions. Perhaps, this is what is fueling both understanding and support for those who are willing to go out on a limb for their beliefs and risk it all, in response to what is wrong, unjust, or unseemly. Personally, I couldn’t agree more. If we are not willing to speak up when the chips are down, what are we left with as a society? Thanks for watching and see you next time! We were fortunate to have a long segment to discuss the week’s business news this past Saturday on the CBC News Network Weekend Business Panel (on live TV, you never know what the news morning might hold!). Trade Tensions Between the US and China Heat Up. With the world’s two biggest economies enforcing $34 billion in tariffs on one another, where is the global economy heading? What’s next for Canada and companies in our country? Bombardier’s Latest Competitive Threat. As Boeing and Embraer announce a $4.75 billion joint venture to enhance production in the small jetliner market, what does this mean for Bombardier? Can the marketplace support both the C Series and E-Jet family? With the newly enforced US/China tariffs expected to be only the beginning, it’s important for Canada to continue to stay the course on developing its global trade strategy. NAFTA talks have quietly continued, and with US and Chinese goods becoming less attractive cost-wise, Canadian companies have an opportunity to provide an alternate source of supply in some areas, particularly in terms of doing business with China. Canadian companies that seek to do so must ensure that they conduct targeted research to understand the opportunity, determine how to approach the market, and ensure that there is an appropriate implementation plan in place. Assuming that there are not any differences from a company’s current customers and line of business is usually a mistake. Advisors can be helpful, in terms of assisting companies with strategies to approach new markets efficiently and successfully. In terms of the ongoing Bombardier and Boeing story, well managed companies understand who their current and potential competitors are, as well as with whom they might partner. Strategic partnerships position companies to achieve more than could be accomplished on their own, and both joint ventures (Bombardier/Airbus and Boeing/Embraer) are examples of that. Bombardier has the benefit of already being active in the marketplace with Airbus, providing an opportunity to maximize sales before the Boeing/Embraer deal is closed. What’s more, if both jets are truly what customers want, two providers could have the impact of building a bigger marketplace for their product. As always, it’s great to be in the studio and to be able to share our thoughts on the week’s business news with CBC viewers. As I reach almost a year of having the privilege to do so, a special mention to the talented men and women who ensure that we are camera-ready; thank you! 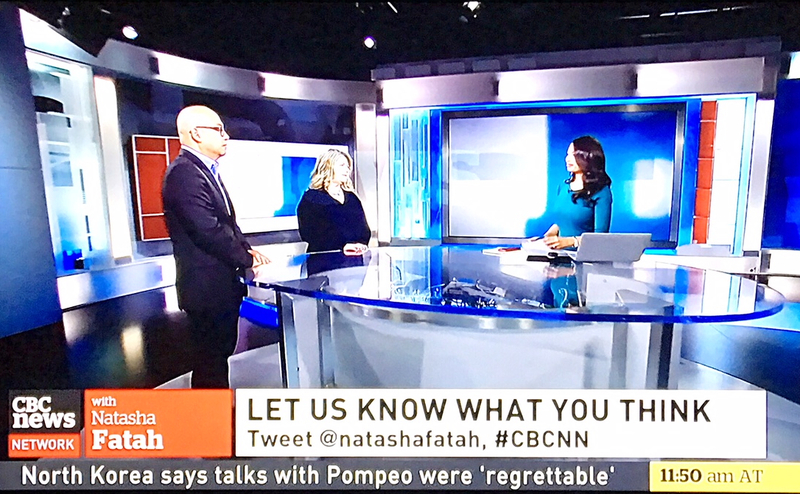 ﻿﻿﻿ The fun aspects of live TV were evident on a very busy news morning this past Saturday for the CBC News Network Weekend Business Panel. Our segment was delayed while we watched the Trump press conference on the monitor in studio as he left the G7 Summit. Although he arrived late and left early, Trump’s presence at the G7 did little to generate progress; rather, the outcome could best be described as uniting the other six countries against the US, as a result of the difficult stance they’ve been taking on a number of issues. As someone who watches a lot of US political news, Trump’s remarks (and subsequent tweets) are more of the same, including blaming Prime Minister Justin Trudeau for being “very dishonest and weak”. In a previous tweet, Trump indicated that Trudeau’s “false statements” resulted in his decision to not endorse the G7 communique, an obvious snub to longstanding US allies. Although attacking Canada might not be the norm, finding a “villain” and taking shots from afar are typical Trump behaviors. My guess: he’s annoyed that the G7 countries didn’t go along with his demands and had the wherewithal (i.e., “nerve”) to fight back against the recent US tariffs and request exemptions. In the absence of achieving any success on this front, it’s game on. This situation represents an uncertain time for companies globally, many of which rely on a range of partners to operate, be it suppliers, distributors, and financiers. Business (and markets) do not like uncertainty, as it can represent risk for companies, and as Trump continues making unforced errors, problems that do not need to happen appear in abundance. As Prime Minister Trudeau continues to support Canadian interests, opportunities for companies in Canada are evident, as businesses globally continue to consider the implications of uncertainty associated with US partners. Canada is home to many companies that have the ability to rise to meet international challenges, however, they should do so only after completing the necessary research and putting the right systems, processes, and strategies in place. Growth has a way of requiring capital, and companies shouldn’t approach opportunities before fully understanding the neecessary funding and ensuring that it is in place. Sound like a lot to do? Advisors can help. See you next time, CBC! La Presse Goes Non-Profit: One of Canada’s longstanding publications will become a non-profit entity, setting the stage for receipt of donations, and perhaps, federal funding. What does this development mean for the future of newspaper-style media companies? Canadian Tire Set to Acquire Helly Hansen: This retailer has a long standing history in a range of sectors, including automotive, outdoor, and sporting goods. Will acquisition of this Norway-based sportswear company take Canadian Tire in a new direction? Meet Google Duplex: As AI continues to evolve, Google turned heads with a very human sounding voice making an appointment over the phone, engaging in a typical conversation with a human. What issues and opportunities does this technology raise? Print and newspaper media have undergone massive changes over the past decade, leaving many struggling with questions around the next steps forward, as well as their future viability. Movement to a non-profit structure might give the impression that the revenue challenge is no longer an issue, but this is problematic for at least two reasons: (i) all organizations need money to survive, and in the case of non-profits, they need to demonstrate that they are worthy of donations and funding; and (ii) in order to do so, non-profits must be able to generate successful outcomes, which requires the right strategy and plan. In a nutshell, La Presse needs to have the right business model in place, including a clear plan around what it seeks to achieve and how it will do so, which boils down to cash inflows, outflows, and results. Moving a problem “from here to there” won’t fix it; stay tuned to see if this important work has been done. The huge consumer appeal of “life wear”, those resilient fabric technologies that allow us to comfortably wear what was once thought as only athletic wear, from dawn to dusk, wherever we go, is a difficult trend for retailers to miss. Canadian Tire has long been a source of more durable items, and with the billion dollar acquisition of Helly Hansen, the opportunity exists to expand their offering into this popular area. 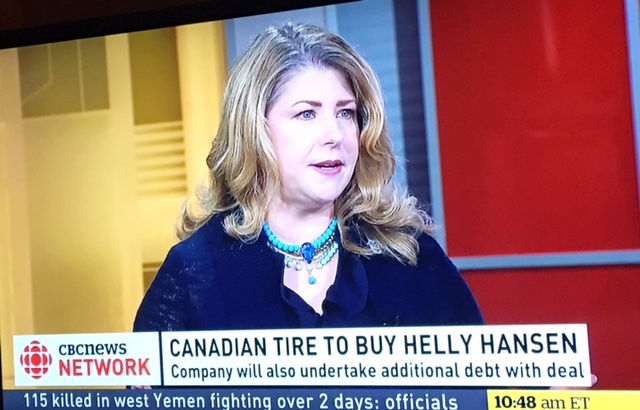 In addition, since Helly is an established brand globally, the opportunity for Canadian Tire to generate revenues in other markets and, perhaps, expand product offerings into these channels could be of interest. 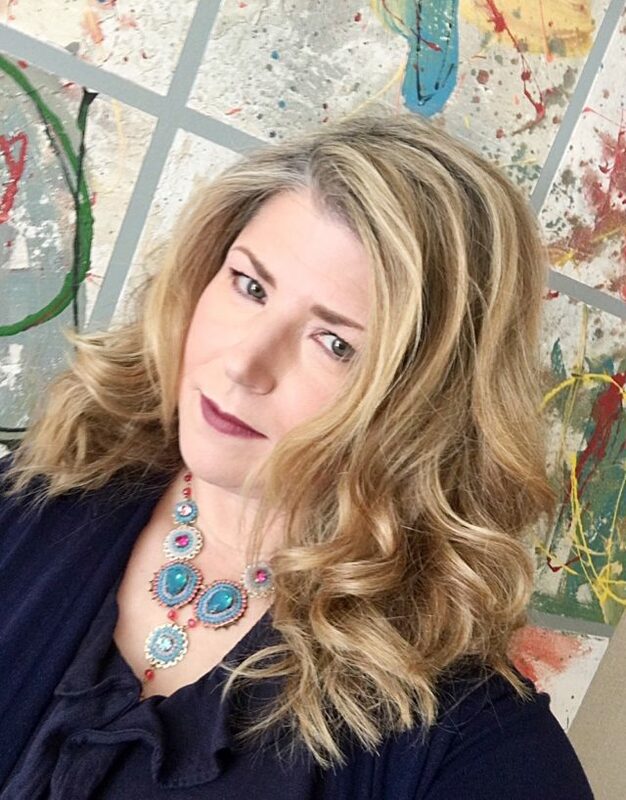 What’s critical in the retail industry is to ensure that product is turning over, and that inventory isn’t so broad that it puts a drag on results. With Canadian Tire’s many departments, are they in the process of streamlining their offering to better align with the marketplace? And finally, in the category of “the future is now”, Google just keeps on moving forward, with its Duplex technology that sounds oh, so human. With the ability to make phone appointments and interact with conversational ease, it’s not difficult to see many potential applications. As with any business, it’s important to also see the downside, including risks of utilizing this technology in unintended ways, such as impersonation and security breaches. Questions are also being raised around job loss, as a mass of relatively low value roles could be displaced; such has been the case over the last century or more. With so many high value things to do, call it progress. 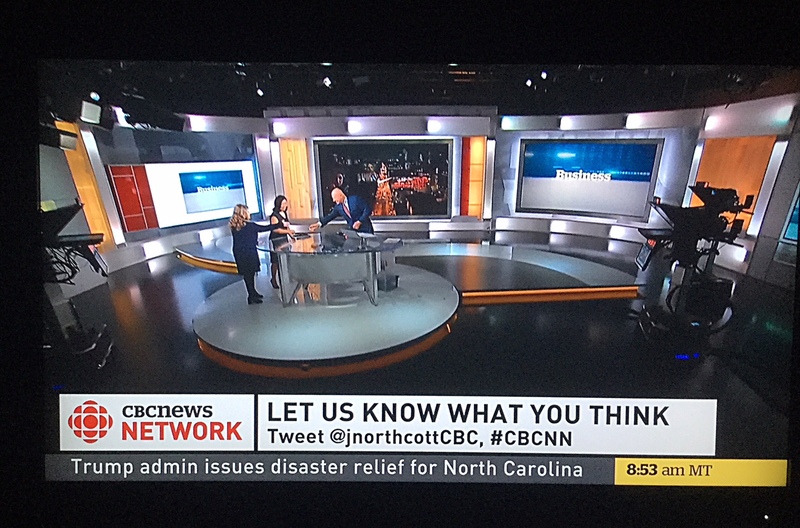 Thanks for tuning in and see you next time, CBC!